Selected Villas for rent near Train Ride from Kandy to Ella (Sri Lanka) - Contact us now! Grab a seat close by the window, and glance out into the yonder as the train ambles along, transporting you into the refreshing coolness and picturesque greenery of the scenic Hill Country. The ride starts off from Kandy, and takes about six or seven hours to arrive at serene and tranquil Ella. 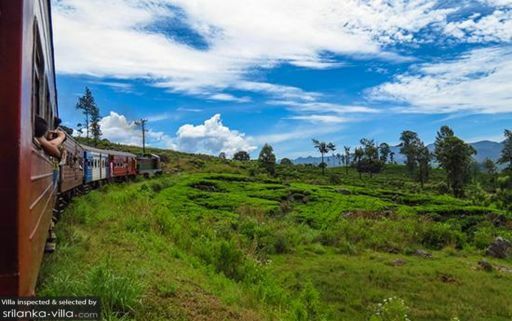 It is regarded as one of the most captivating train journeys in the world, and is well-recommended for villa travellers with a love for nature and the outdoors.